The findings from a study performed in Western Australia and published in The Lancet medical journal last week should remind us that just because we think a social intervention should work does not mean it will; in fact, it might make the problem worse. So it was with those creepy robotic faux babies, developed by NASA engineer Rick Jurmain and assigned to teenage girls to simulate the stress of mothering an infant. As it turns out, not only do such programs not prevent pregnancy, but they actually cause rates to increase. The program is in use across the globe, administered by churches, schools, and community groups in 89 countries. 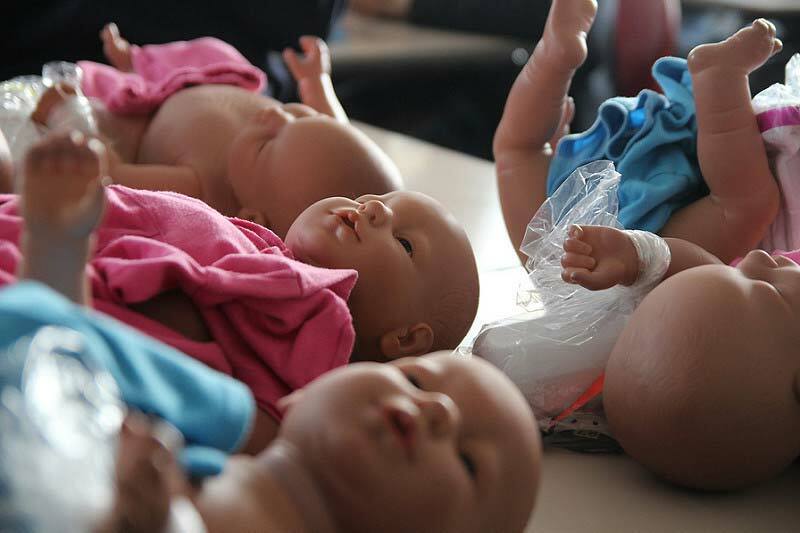 RealityWorks, the name under which Jurmain manufactures the dolls, claims that 67 percent of school districts in the U.S. use them. According to medical records for the girls up to 20 years of age, the robo-baby-exposed girls had a pregnancy rate of 17 percent by the time they turned 20, compared with 11 percent among those who didn’t. Other, earlier, smaller studies also found no positive effects on pregnancy prevention. Lastly, the girls who cared for the artificial surrogates showed signs of being slightly less likely to terminate their pregnancies than those who did not. A security robot of a make that’s previously drowned itself in a fountain and run down a toddler at a mall makes its debut at a California animal shelter.